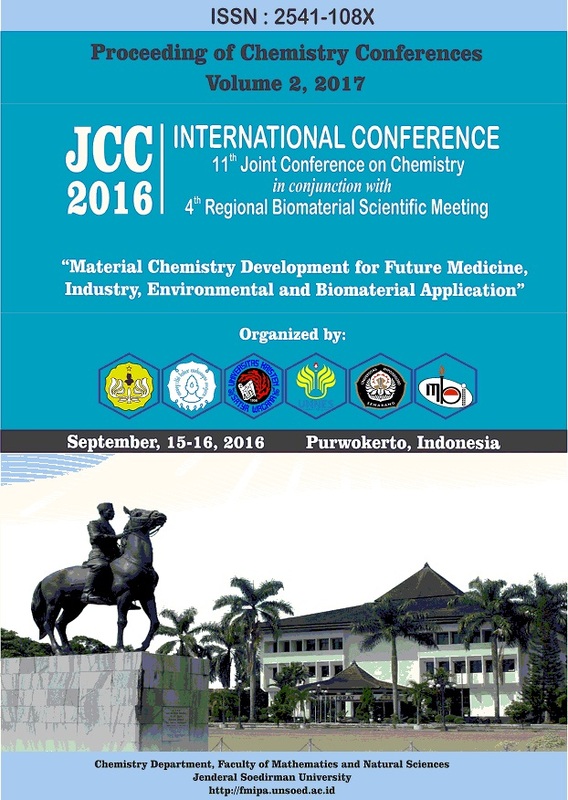 This proceeding is a publication of some articles of the 11th Joint Chemistry Conference in Conjunction with The 4th Regional Biomaterials Scientific Meeting which has attracted many scientists from Indonesia, Malaysia, Thailand, Bangladesh, Egypt, Japan as well as other countries. This international conference is attended by more than 150 participants covering wide variety subject grouped as theoretical chemistry and educational, material synthesis and modification, bioscience and analysis, and also Industrial and environmental chemistry. The given oral and poster presentation would show outputs for future need as indicated in the conference theme of “Material Chemistry Development for Future Medicine, Industry, Environmental and Biomaterial Application”. Other articles of the conference were published in IOP Conference Proceedings, MSE Volume 172.